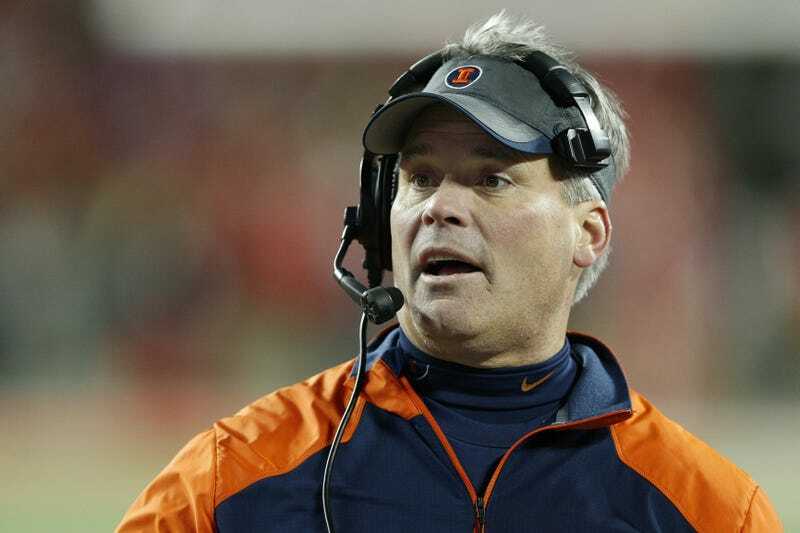 The University of Illinois just announced the firing of head football coach Tim Beckman after an external review into the coach’s conduct revealed him to have put his players at risk. This lines up with what former Illinois lineman Simon Cvijanovic had to say about Beckman’s program in May, when he went on an extended Twitter rant about how Illinois players had been mistreated by the coaching staff. Former Illinois Lineman Accuses Coach Of "Abuse And Misuse Of Power"
Beckman was fired with cause, which means he will not be receiving any of $3.1 million remaining on his contract. Illinois plays its first game in eight days, and offensive coordinator Bill Cubit has been named interim head coach.